It isn’t uncommon to give your canine companion some of your leftovers as a quick snack. Although you can give your dog a number of food items from your pantry, one thing you should never give them is chocolate as it contains theobromine and caffeine, two substances that are toxic to dogs in large doses. Don’t wait for chocolate poisoning symptoms to manifest. Immediately call your dog’s veterinarian to explain the situation. Many vets will ask you how large your dog is, which type of chocolate (white, milk, dark) your dog ate, and how much chocolate your dog consumed. This information will help determine whether your dog just consumed a lethal dose. Your vet will likely ask you to bring your dog over to be examined, especially if your dog has begun to exhibit symptoms of chocolate poisoning. If your dog has not exhibited symptoms, it is possible that they have not consumed enough chocolate to cross their toxic threshold. In such case, err on the side of caution and bring your dog to your vet. 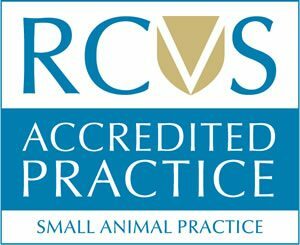 Respected vets in Croydon, such as Dr. Anne Nelson of Anne Nelson Vets, will often give treat your dog by inducing vomiting and pumping the stomach of its contents. This is to remove any undigested chocolate. Afterwards, your vet will administer activated charcoal to prevent the absorption of chocolate in the bloodstream. When faced with a chocolate scare, do not panic. Simply follow the steps above as soon as you suspect your dog has consumed chocolate. Acting quickly and decisively can help save your dog’s life. To avoid this problem, be sure to store chocolate in areas your dog cannot reach. Transferring chocolate and cocoa products from their original packaging into hard plastic containers also makes it more difficult for dogs to consume chocolate.